Q92's iHeartRadio's Teacher of the Month! 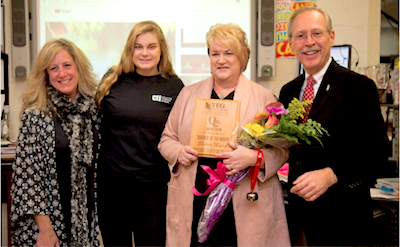 On November 28, Joe Daily and his Morning Crew from Q92 iHeartRadio presented Sharon Myers, Cosmetology Teacher and SkillsUSA Advisor, with their “Teacher of the Month” Award. The station recognizes teachers throughout the Hudson Valley for their outstanding service. Mrs. Myers was nominated by Annie Davidson, second year Cosmetology student from Hyde Park. Joe Daily expressed his admiration for Mrs. Myers’ dedication to her students and to the community. Sentiments echoed by everyone! 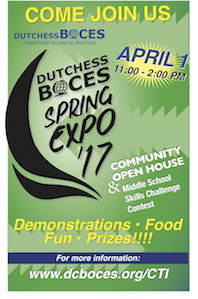 Q92 also recognized Mrs. Myers, Annie Davidson and Dutchess BOCES Career and Technical Institute during their morning radio announcements. Dutchess BOCES CTI is pleased to announce the Summer 2018 lineup for our continuing Middle School CTE Enrichment Program which will run from July 9 to July 13 from 9:00 a.m. to 11:45 a.m. There is no cost to the parents or school districts. Read More and Download the Application HERE. The Dutchess BOCES Career and Technical Institute (CTI) will be hosting a “Student Art Experience” Thursday, November 2nd from 6:00-9:00 PM at 5 BOCES Road in Poughkeepsie. The free event will outline what it takes to succeed in an art career. Students, parents, and teachers are welcome. The evening will include presentations on higher education and portfolios, career opportunities, entrepreneurship, freelancing, and working in corporate art departments. 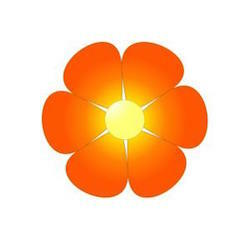 It is tailored to give students interested in graphic design, fine arts, illustration, photography, computer graphics and web design a look at potential college and career paths. To register for this free event, visit www.eventbright.com and browse for Student Art. For more information about the various creative courses offered at CTI, please visit www.dcboces.org or call Principal Mitchell Shron at 845-486-8001. 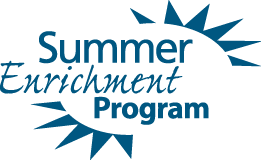 Dutchess BOCES CTI is pleased to announce the Summer 2017 lineup for our continuing Middle School CTE Enrichment Program which will run from July 10 to July 14 from 9:00 a.m. to 11:45 a.m. All tuition costs for students enrolled at CTI’s Middle School CTE Enrichment Program are covered by a grant from the Wallbridge Foundation. Staff members at the Career and Technical Institute brought a little holiday humor to their festive luncheon December 21st by donning creative, ugly Christmas sweaters. Lights, tinsel, bows, and stuffed animals all helped CTI make its own ugly fashion statement. Applications for the program may be printed HERE. All applications must be in by Monday, March 14, 2016. Please forward this information to your middle school guidance counselors and feel free to call Joanne Gorman or Mitchell Shron at 845-486-8001, extension 4501, for more information. Three Dutchess BOCES Career and Technical Institute (CTI) students were honored for their academic achievements May 20th at the annual Carroll F. Johnson Scholastic Achievement Dinner in Tarrytown, N.Y. The event, hosted by the Lower Hudson Council of School Superintendents, celebrates valedictorians and salutatorians from every school district in Westchester, Rockland, Putnam, and Dutchess counties. Francesca Zani, CTI valedictorian, is a culinary student from the Spackenkill Union Free School District. Jeyry Acevedo and Deyry Acevedo, the co-salutatorians, are cosmetology students also from Spackenkill. Pictured receiving congratulations from Dutchess BOCES Board of Trustees President Edward McCormick are Jeyry Acevedo, Francesca Zani, and Deyry Acevedo.